Where the hungry and thirsty are fed and nourished. Where the naked are clothed and the stranger is embraced. 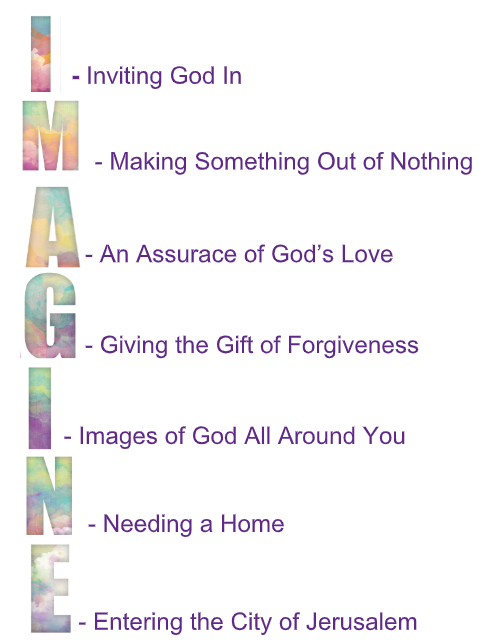 Where we see and experience God in those around us. Forgive us O God, if our eyes have been so fixed on priorities of our own making, that we have failed to look for Jesus in the hungry, the thirsty, the stranger, the naked, the sick and the imprisoned. Forgive us all the times we fail to touch people’s lives with acts of loving and caring, justice and mercy. Remind us that we are empowered and enabled by your Spirit to witness to the values of your kingdom in and through all we do and say. Amen. The Sacrament of Baptism is an outward and visible sign of the grace of God. 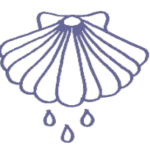 In as much as the promise of the gospel is not only for us but also to our children, baptism with water and the Holy Spirit is the mark of their acceptance into the care of Christ’s church, the sign and seal of their participation in God’s forgiveness, and the beginning of their growth into full Christian faith and discipleship. This is the water of baptism. Out of this water, we rise with new life, forgiven of sin and one in Christ, members of Christ’s body. Do you desire to have Alara baptized into the faith and family of Jesus Christ so that she may explore the dynamics of God, who created and loves her? Will you encourage Alara to live out her faith in response to the gospel, and to receive the freedom of new life in Christ? Will you teach her the stories of our faith so that she may be led into relationship with Jesus Christ? Do you promise by the grace of God, to be Christ’s disciples, to follow in the way of our Savior, to be in right relationship with God, others and yourself, to show love and justice, and to share the work and word of Jesus Christ as best as you are able? Will you covenant to bring Alara into the life of the Christian community to worship, to hear the story of the roots of our faith, and to be in relationship with other believers as you all grow together and celebrate the Spirit’s presence? Recognizing that there are many persons who touch the lives of children beyond their parents, do you covenant to give your time and yourselves to Alara, providing her with further opportunities to explore her growing experience of God and self? God Family: We promise, with the help of God. Do you covenant to love Alara unconditionally, supporting her, and helping her see the limitless possibilities of life in the Spirit? God Family: We promise our love and support. Will you support these parents and this God family in their efforts to guide Alara in the way of the gospel and to the faithful service in Christ’s church? All: We will, relying on God’s grace. Let us unite with the church in all times and places in confessing our faith in the triune God. Mark, Ed, Sue, Steve, Kerri, Cindy, Gordon, Kristen, Susan, Maryam, Meena, Marjon, Brooks, Joseph, Perilene, Cyndy, Claire, Christina, Susan, Denise, Jay, Dylan, Shane, Teri, Jonathan, Tori, Valerie, Lisa, Lynn, Tracey, Gayle, Rob, Liz, Thomas, Lynne, Cindy, Kane, Dave, Deb, Ashley, Diane, Marisol, Darlene, Dave F., Madeline, Austin, Alexander, Steven, The McEvoy Family, Chrystal, Dennis, Jane, Pat, Jenn, Col,, Barbara, John, the family of Rosalyn Dix. Holy Week is just around the corner, and on Maundy Thursday, we’re hoping to present our Last Supper reflection on the life of Jesus, but we need volunteers to read the parts. Please let Pastor Kelly know if you’re interested in being a reader. As with everything at Oldtown, we can’t do it without your help.